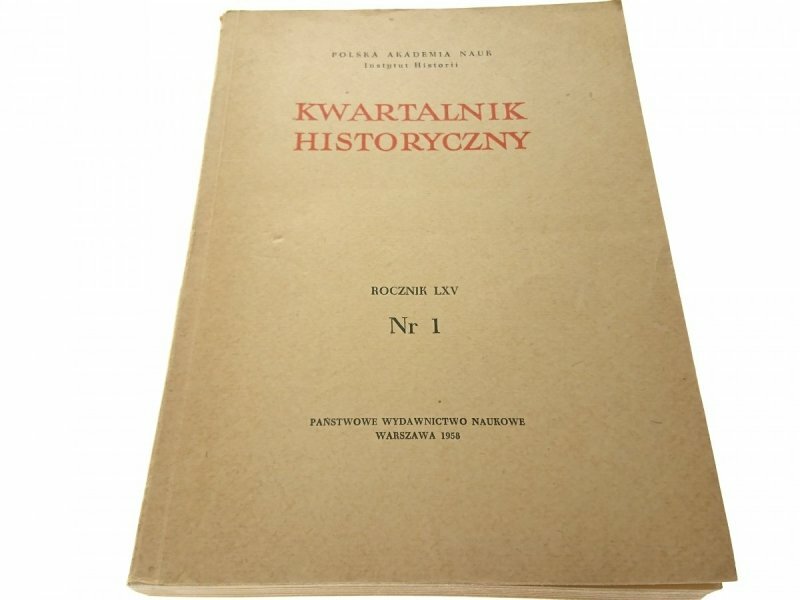 TYTUŁ: KWARTALNIK HISTORYCZNY NR 1. INFORMACJE DODATKOWE: KSIĄŻKA JEST W STANIE DOBRYM. WYTARCIE I POŻÓŁKNIĘCIE OKŁADKI. NADDARCIA I PRZYPLAMIENIA OKŁADKI NA GRZBIECIE. POŻÓŁKNIĘCIE KARTEK.